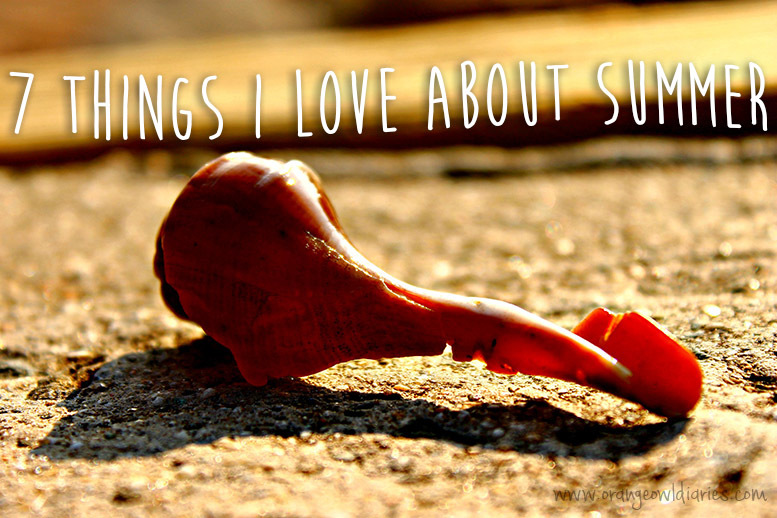 Here it is, the final installment of my “7 Things I Love About the Seasons” series. I enjoyed listing what I love about each season this past year – so without further ado, here’s my list for summer! Even though I will no longer have the summer vacations from school, I still see summer as the prime time to take a vacation, as do most people. But I wouldn’t object to a winter vacation to escape the cold. Even though I can be a night owl, I enjoy the daylight hours more. It’s warmer and there’s more you can do in the daylight than at night. Plus it’s a good way to save on electricity by using natural light in the house (if you can). Whether it be at a lake or a pool, I have always loved being in the water during the summer. Though I don’t nearly go swimming as often as I used to I still enjoy it. Once I get in the water, you can’t get me out! Again, I don’t go to amusement parks as often as I used to, but there’s so much fun to be had when you go with a group of friends or some close family members. I personally love the water rides… go figure! Though I’m not huge on camping, I still enjoy going with my dad and stepmom every year. I’m hoping I’ll be able to this year. Even though I crave sleeping in my own bed and taking a real shower (not those gross campsite ones), I can’t deny that it’s peaceful to get away from everything for a few days. There’s just something about making s’mores over a campfire that just ties up the summer experience nicely. Some of my favorite summer memories are the cookouts my mom and I used to go to and host over the years. My personal favorites were the 4th of July cookouts at the nearby lakes we used to go to when I was young. YES TO ALL! I just hate this heat! If you’re talking about humid heat, then I agree! It’s the worst! I love the longer days too. 6) No layers of clothing! Oh yes, how could I have forgotten about open windows in the car?? That’s definitely one of my top favorites! As well as only one layer of clothing…. not ten!